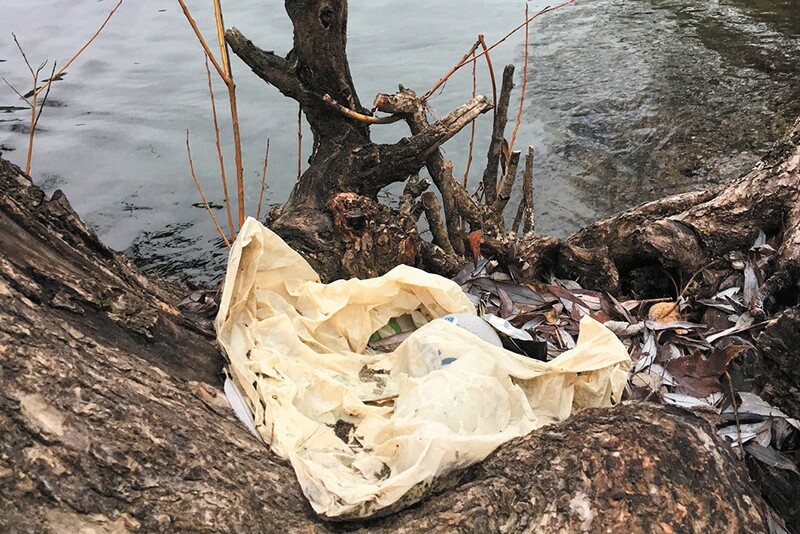 It's incredibly common to find plastic grocery bags like this one littering the shore of the Spokane River, says Riverkeeper Jerry White. Blaise Barshaw Hallelujah: When I moved here, it was the first thing I noticed, every store wants to give you a plastic bag for every two items you buy! And to the people whining about "buying" reusable bags, I have never seen anyone bringing their old plastic/paper bags to reuse. Naomi Hanvey: I use reusable bags, but keep in mind that it takes a lot of energy to make them, and most are not biodegradable. You need to use them a lot (and, boy, keep buying new ones) for them to be worth it. Simon Francis Moorby: These idiots (Proud Boys) have been reduced to Internet Warriors. Even their GoPro stunt was a cry for attention. Doecelyn Kneeshaw: What I don't get is that they say they're a part of a group that has been known for homophobia and racism, but say that they're chapter isn't like that. It doesn't work that way. "After the Vote" by Mary Lou Reed (11/29/18) talked about "the firm red slap" over a hopeful blue wave. Mary shouldn't be puzzled about why voters in Eastern Washington and North Idaho continue to vote for the elephant. Voting is largely based on myths about one side or the other. Those myths seem to stick to Democrats and roll off Republicans. God, guns and gays has dominated those myths along with immigration and support for the military. Democrats are godless gays who want to take your guns, defund the military and want open borders. Republicans love white Christianity, want everyone to be armed, support "traditional" marriages that frequently end in divorce, want the military to fight neverending wars, put illegal alien children in cages and believe that gays can be cured. Elections focus on the myths and not on clean water and air, health care, education, transportation, jobs, roads, bridges and energy. Results no longer matter, just the color of the candidate's mythical politics.